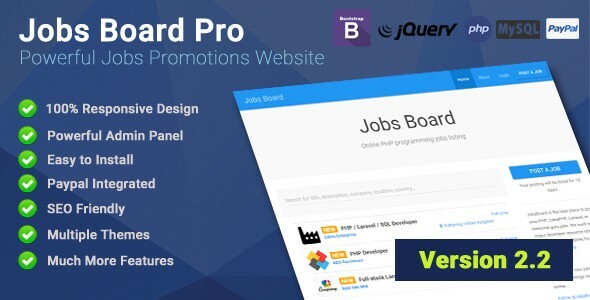 Jobs Board Pro v2.2 - CODELISTPRO | Free Premium Scripts, Plugins, Apps Source Code. Create your own beautiful jobs promotion website with Job Board Pro. Setup your Jobs Promotion websites in minutes. Powerful admin panel, great job editor and impressive design.